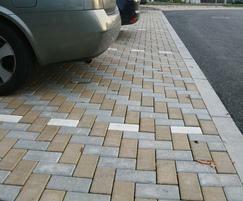 Permeable surfacing and source control SUDS technique. Colour mix and texture options to provide high quality, aesthetic and functional schemes. Can be easily lifted for access to services and reinstated without leaving the usual repair scars. Offers high levels of durability and good grip. Used in conjunction with a filter Geotextile, Infilta CBPP can enhance water quality and eliminate the need for end of line petrol/oil interceptors. Charcon Infilta CBPP is suitable for use in a range of applications including pedestrian areas, shopping precincts, access roads and car parking facilities. Refer to technical services for advice on specific applications tel: 01335 372222. 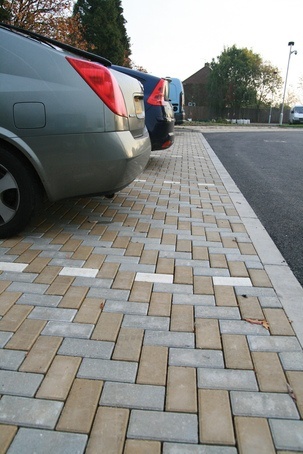 Aggregate Industries SuDS range along with block paving, flag paving and kerb, aggregate, asphalt and ready mixed concrete.